After my weekend of preserving I still had lots of pears left. What to do, well bake with them of course! 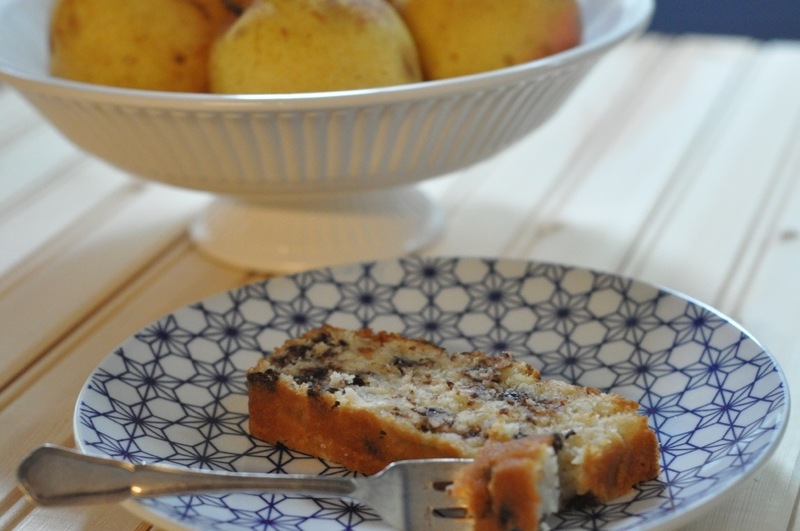 I have made pear chocolate chip bread before and liked it. I recently saw a recipe for coconut pear bread. I decided to combine the two and created this recipe. This entry was posted in Cakes and tagged chocolate chips, Coconut, Coconut milk, pear, quick bread, tea bread, tea cake on October 9, 2013 by Gretchen.